Known as the “Austrian Morphy”, Wilhelm Steinitz was the first official World Chess Champion and led the new modern age of chess. Even though he started off following the crowd by playing in an all-out assault method, Steinitz later changed the landscape of chess forever when he revealed his new positional style of play. Confounding his opponents with this fresh approach, Steinitz became one of the most dominant players in the history of game. In over 25 years of playing chess matches, he never lost once! Wilhelm Steinitz learned to play chess at the age of 12 but didn’t start to take the game seriously until he was in his 20’s. He rapidly progressed in the late 1850s and began to make a name for himself in the chess world. After a London tournament in 1862, Steinitz decided to turn professional and take chess more seriously. He started to rocket up the rankings by defeating many different players in matches. This is in contrast to another stronger player in this time, Adolf Anderssen, who was an excellent tournament player but not at the same level during match play. Both Steinitz and Anderssen faced off in a match in 1866 and once Steinitz won, he began to be considered the world’s best player. 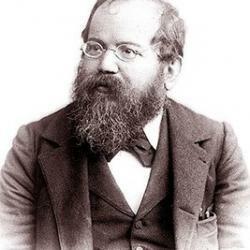 Including the match where Steinitz took this title from Anderssen, Steinitz was in the midst of a streak where he won every serious match between the years of 1862 to 1892. This dominance in match play is something that has not been replicated since. Steinitz passed away on August 12, 1900.